Margarine was invented in France by Hippolyte Mège-Mouriès in 1869, during the Franco-Prussian wars. He invented it in response to a competitive challenge from the French government under Napoleon III, who was looking for a cheap and stable substitute for butter, and offered a big prize to anyone who could pull it off. Both have the same amount of calories. 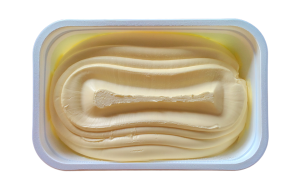 Butter is slightly higher in saturated fats at 8 grams; compared to 5 grams for margarine. 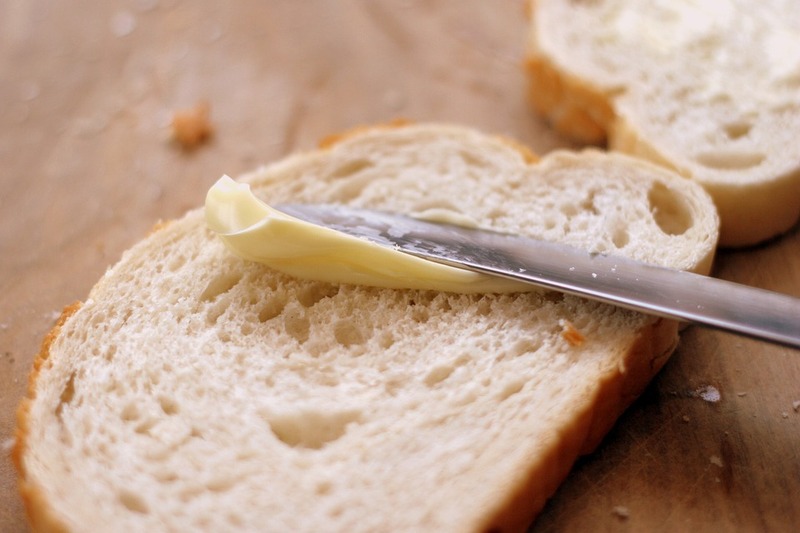 Butter has many nutritional benefits where margarine has a few and only because they are added! Butter tastes much better than margarine and it can enhance the flavors of other foods. 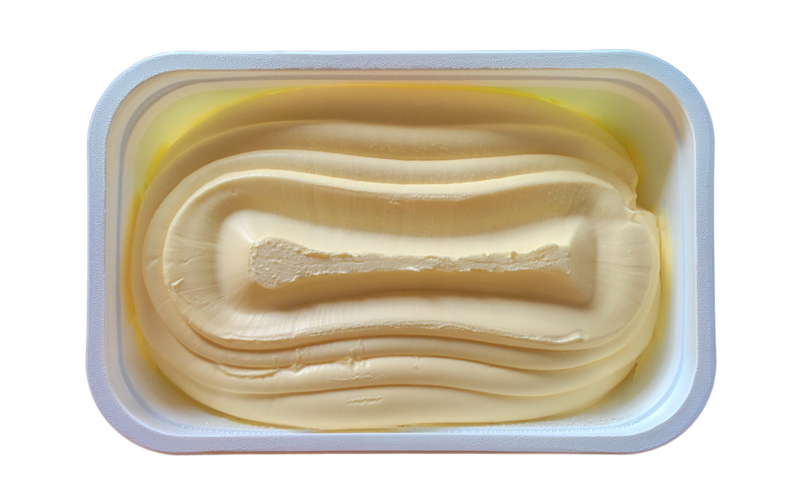 These facts alone should enough to have us avoiding margarine for life and anything else that is hydrogenated (this means hydrogen is added, changing the molecular structure of the substance).